If you or someone you know has recently become the victim of a major flood, you know exactly how traumatic it can be. While enduring a flood is traumatic, dealing with the aftermath is just as harrowing. Even minor flooding can inflict severe damage in its wake. 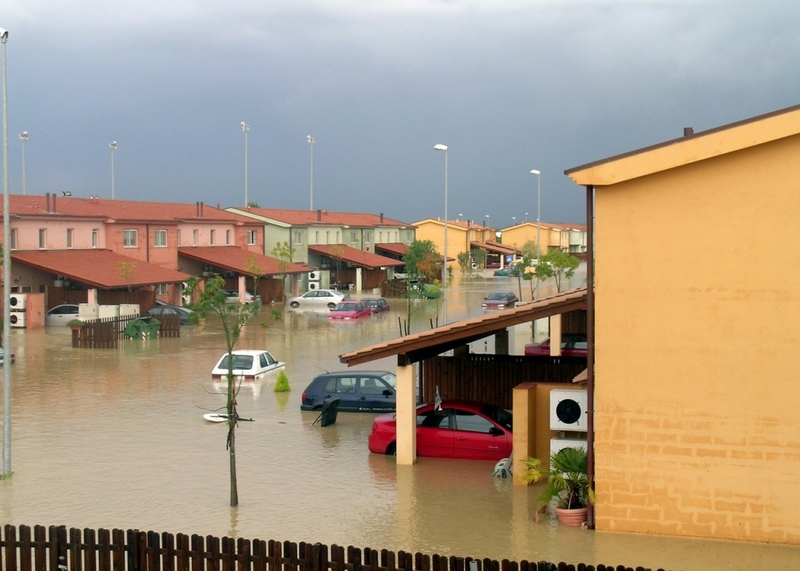 It’s important to know what to do after a flood to minimize the damage it can cause. Keep a check on the latest flood updates and don’t return to your house until local officials have declared the region out of danger. Your immediate concern may be to begin the clean-up work straight away. But before the clean-up effort starts, it’s crucial that you take pictures and note details of the damage to your property – this will help when you’re making claims to your insurance. Next, report the flood damages to your home insurance company. Based on the evidence, you may be able to get your damaged items replaced or have professional help to clean up. Water that seeps into carpeting can quickly form mold and mildew, both of which can be harmful to you and your family and are expensive to remove. Carpets and rugs should be dried as quickly as possible after excess flood water has been removed. Open all windows in the house in order to allow faster drying and to further prevent mold formation. If left untreated, flood damage to floors can eventually cause major structural issues within the foundation of your home. Make sure you remove as much water as possible quickly after flooding has stopped. A sump pump is the best choice to take care of that. Though the majority of flood-damaged furniture is relatively difficult to salvage, certain pieces can be saved with thorough cleaning and care. Leather furniture is most frequently counted as a total loss, but if the damage is minimal, it may be possible to replace certain parts and save the entire piece. When treating upholstered furniture that has been submerged in flood water for an extended period, consider the fact that cushions and other fillings will most likely need to be replaced. Even if dried completely, this type of stuffing can harbor millions of microscopic mold spores. Electrical appliances that have been submerged, even for a short period, should not be used until they are serviced by a certified electrical repair professional. Make sure they’re unplugged, but do not attempt to dry them yourself. Gas appliances that have been damaged by flood water should also be inspected and repaired by a certified professional before they are used. Even if a gas appliance appears to be functioning properly, it is possible that its safety features have been disabled by the presence of standing water, making them extremely dangerous to operate. Gas leaks, also often caused by flood water damage, can cause fires and explosions if exposed to flame. When a flood strikes, the best thing that you can do is to act quickly. The damage caused by a flood can grow exponentially worse if left untreated. Fortunately, following to the above mentioned tips can help you salvage a large portion of your possessions and help to expedite the process of reclaiming your home. https://jenkinsrestorations.com/wp-content/uploads/2019/01/sigonella-81772_1280.jpg 914 1280 828_Tech /wp-content/uploads/2016/08/Jenkins-Restorations-Header-Logo.png 828_Tech2019-02-13 08:00:222019-01-29 13:51:41What Do I Do After a Major House Flood?